As I tell anyone with a small business similar to mine, I trust that Delicious will perfectly design for me any idea that I come up with. You and your staff really pay attention to what it is that I produce and the style I want to convey. Pricing, time, and quality are my main concerns for my salt business; you have met or exceeded all my expectations on every level. 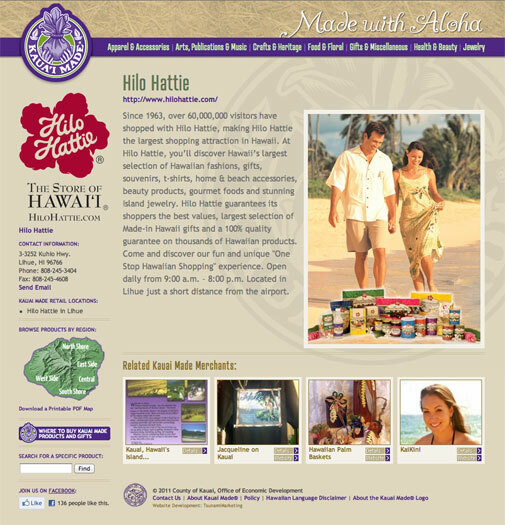 We designed and developed this e-commerce website for Hawaiian Volcano Sea Salt so that they could sell their line of unique Hawaii-made products online. A fully-custom theme built on top of the WordPress/WooCommerce framework - the site is both easy to use and easy to administer. 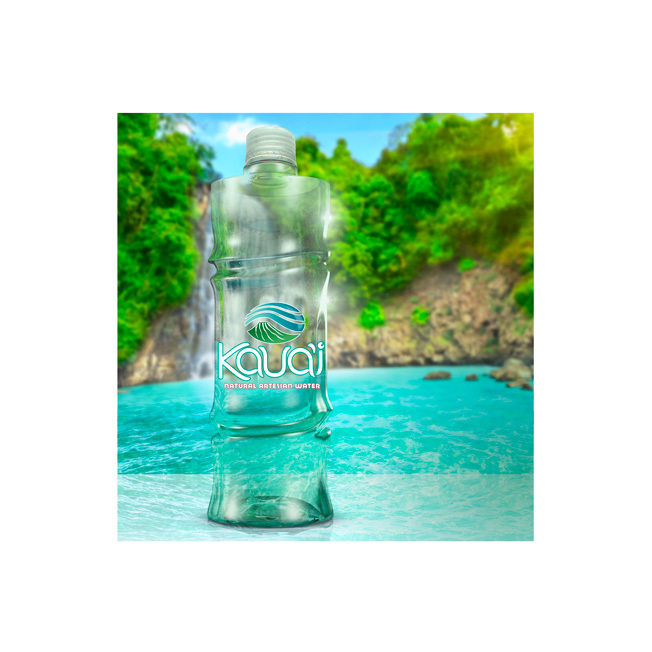 Hawaiian Volcanic Artesian Water is a Big Island company which sells bulk and bottled water from a natural aquifer on the island of Hawaii. This natural beverage is rich in minerals and has a high pH factor giving it a crisp, sweet, and refreshing taste. This logo design captures the essence of the relationship between evaporating sea water, upland showers, and the land—which make the product unique. We created this new logo for the Kauai Made® program to give them a stronger, more legible, more “hand crafted” feel. The symbol is a “ho’okupu” or “honored gift” which was traditionally an item of exceptional value which had been wrapped in a ti leaf lei. The logo we developed for Hawaiian Volcano Sea Salt captures the raw, rough character of their Hawaii-made smoked sea salts and culinary seasonings. The self-contained shape allows our client to easily apply the new brand identity to a variety of products and marketing materials. 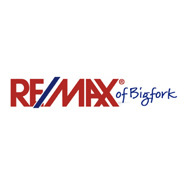 This logo represents the spirit of the water, the island, and the owner. It needed to feel organic, flowy and trustworthy – all at the same time. Hawaii Magazine Advertisement. This first ad in the series features Papalani Gelato and their mouth-watering frozen treats. 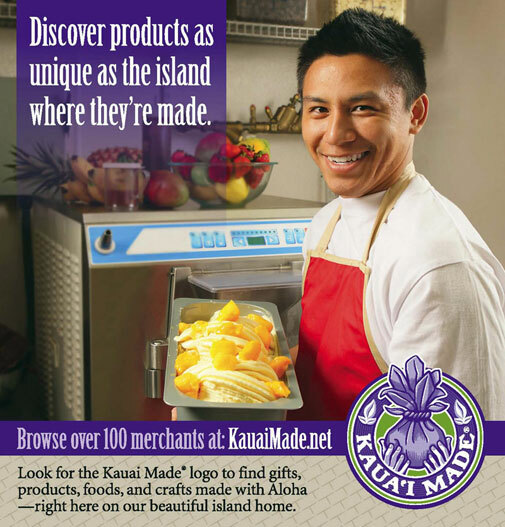 Kauai Magazine Advertisement. 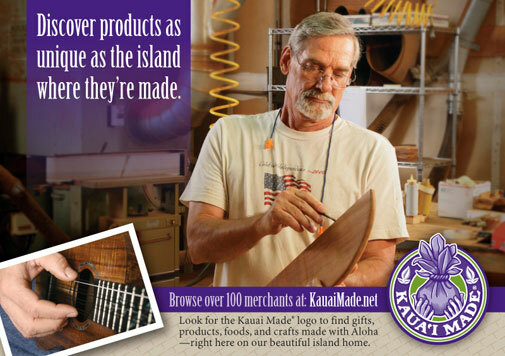 This second ad showcases The Koa Store where hand-crafted gifts and artwork are made from rare Hawaiian Koa wood. 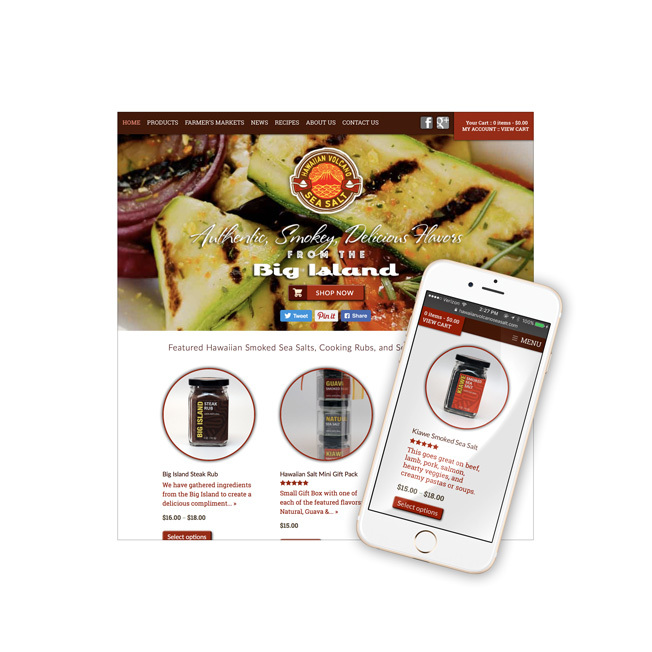 Improved website SEO, increased pages per visit, more click-through traffic to member websites, and ease of updates were the primary goals of the new Kauai Made® website. Our design solution — which we built upon the WordPress content management system — accomplished all this and more! 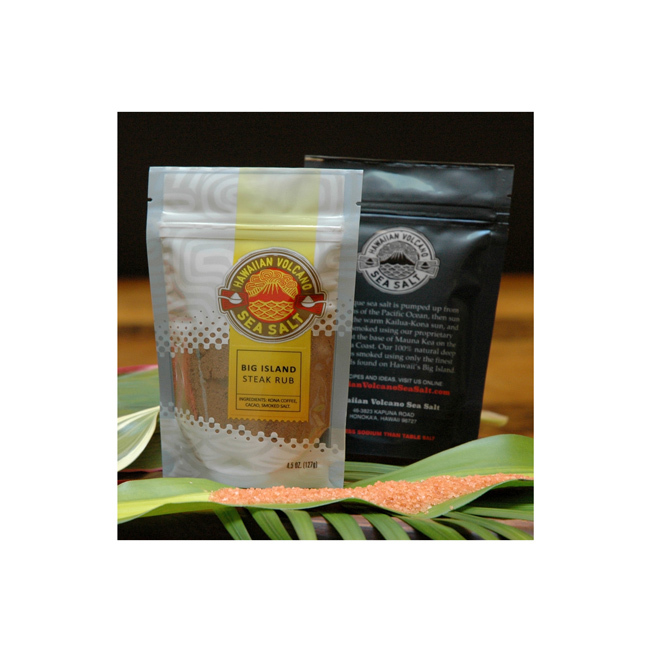 Hawaiian Volcano Sea Salt needed a packaging system which would allow them to brand and protect their unique products which are sold on their website and at retail locations on the Big Island of Hawaii. We developed a cost-effective standing pouch and label system that would allow them lots of flexibility as their line of products evolves. Our client contracted the design of a really interesting bamboo-inspired water bottle — and we created the logo and identity to make it pop off the shelf. 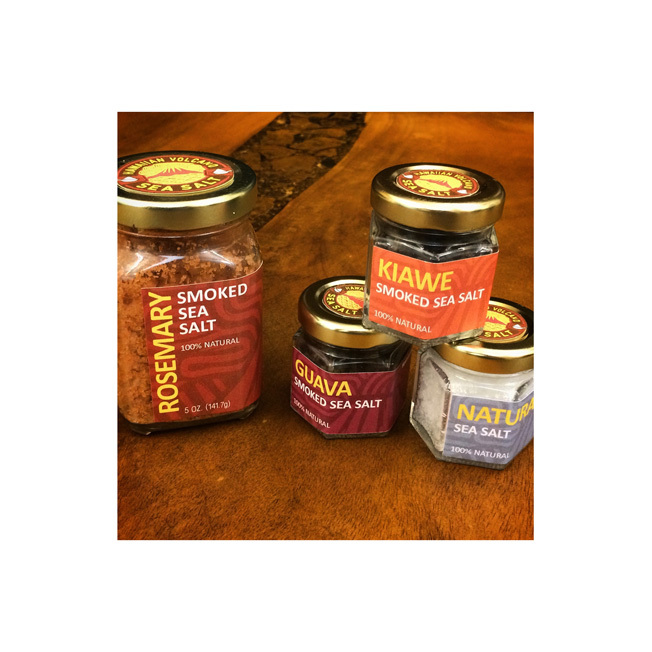 Hawaiian Volcano Sea Salt creates their unique culinary seasonings on the Big Island of Hawaii where they started smoking sea salt to use in their own cooking — and eventually grew into a successful business. Pure ocean water is drawn from over 2,200 feet below the surface and is desalinated resulting in flaky white deep-sea salt. That salt is then smoked using Guava and Kiawe wood which gives it a unique color and flavor profile. Adding a pinch to your recipes brings a rich, authentic BBQ flavor to any dish.